I've noticed lately, I've been a little absent from my own blog. I don't generally take a lot of pictures of myself and I realized that you guys really don't see me that often. So, to put a face and voice to a name...here is my awkward book pitch vlog! Dear YouTube, what's up with this picture? You do that on purpose, don't you? I'm sorry that I get mumbly sometimes. It's just something I do. Jeremy hates it. So, if you can't hear something, it's probably not important. I realize the clutter behind me is a little distracting. I explain it all towards the end. I actually only recorded one time because as soon as I finished the first cut, Jonathan came home and Jude woke up, so blog time was over. In fact, there is a slice right in the middle because Jonathan's friends knocked on the door and Heidi went nuts, which explains the doggy disappearing act. These books are unique. I've never really read another book like these. Carey tends to ride the line of controversy. There are elements of innocence and maturity at war with each other. People tend to get wound up on this issue. 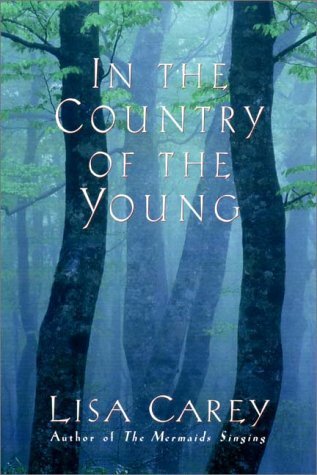 They are contemporary fiction and even though many of the main characters are teenagers, these books are not YA due to the mature tone and adult elements. I love that Carey writes realistically which gives her stories a darker, grittier twist. But the touching moments are that much more beautiful in comparison. The stories focus on relationships: mother/daughter, sister/brother, lovers, etc. Sometimes these lines get blurry, and Carey excels in this area. She keeps you guessing and everything is so unpredictable. I would say that if you like Jodi Picoult or Diana Gabaldon, you would like these books. I hope you give them a chance! If you like these books, you can help me pester Lisa Carey until she writes another book. I really need to re-read these books because it's been so long since I read them. Like I said in the video, they were the two books that helped boost my appetite for reading. So, what about you? If you are pitching a book to your readers (doesn't have to be a vlog) please link up below! Extra cool points to anyone who does a vlog too. Next week: It's back to school time! So, let's talk about school assigned reading. What was your favorite/least favorite? Did you actually read them or did you cliff-note them all? 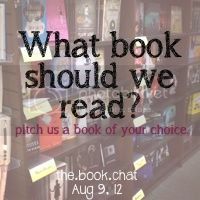 Is there a book you think should be assigned in schools? Well look at you, YouTube Queen! I can vouch for both of Jessica's recommendations. Not long after Jess & I met and because friends she brought both books over for me to read. Keep in mind that I wasn't even much of a reader in HS, much less then because of having 2 young children. 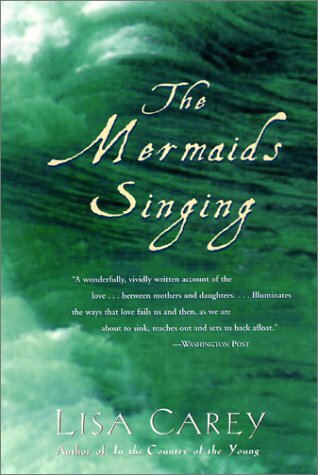 I remember loving both The Mermaids Singing & The Country of The Young & never wanting to put them down. Actually, now you're making me want to own my own copy of each! It was so nice to see your face & hear your voice! These books sound up my alley, historical fiction + generations of women. Have you ever read Cane River by Lalita Tademy? It's one of my favorite books about generations of women. p.s. I saw the Sleeping Beauty books I mentioned the other day in Target last night! Since when did Target start selling more hard romance?! Awww seeing you made me miss you even more! You actually let me borrow The Mermaids Singing in Germany. I remember I really liked it but I have an awful habit of forgetting I've read a book and what it is about until I start to read it again...I do the same thing with movies. So perhaps it's time to pick it up again and refresh my memory? I should also read the other one for the first time. Sorry but my connection is too slow to be able to watch video. I'm sure you did a good job tho. New follower from the Southern Bloggers. Julie @ http://icreatepurtythangs.blogspot.com. I'm in Tennessee. Hi there! I'm following you from the Return the Favor blog hop. Stop by and visit soon. i do like jodi picoult, so i'm adding these to my list on goodreads! OMG HI YOU VLOGGED! Your American accent kills me, ha :) You're adorable. Great first vlog! I was waaaay more awkward in my first one!